I may be away in Greece right now and temporarily soaking in warmer temps, but back home in Vancouver, we’re definitely well into the swing of things when it comes to fall. One of my favourite parts about the whole season is cuddling up in a chic but cozy weekend #ootd for running around the market doing errands, and nothing beats the effortless cool of sleek leggings with a sweater and scarf for attaining that perfect balance of style and comfort. Express is currently killing it in all of those departments (and more!) – click through to see my full fall weekend look with Express! While last month was all about workwear that offers elegance with an edge, this month is all about the beauty of casual wares. Nothing fits the bill as perfectly as an oversized sweater like this number from Express – I honestly was living in this cozy knit piece before taking off to Greece, and plan on jumping right back into it when I’m home! An unbelievably comfy blanket scarf, elegant classic flats and cat eyes all offer femme appeal while all remaining super cozy, but it’s these scuba leggings that really make the whole look in my opinion. They give that perfect dose of edge to the whole look and help balance out the laid-back vibes of the rest of the outfit, plus they are beyond cozy! There are so many other great sweaters for women, leggings, scarves and whatever else your heart desires this fall – see them all at Express here! 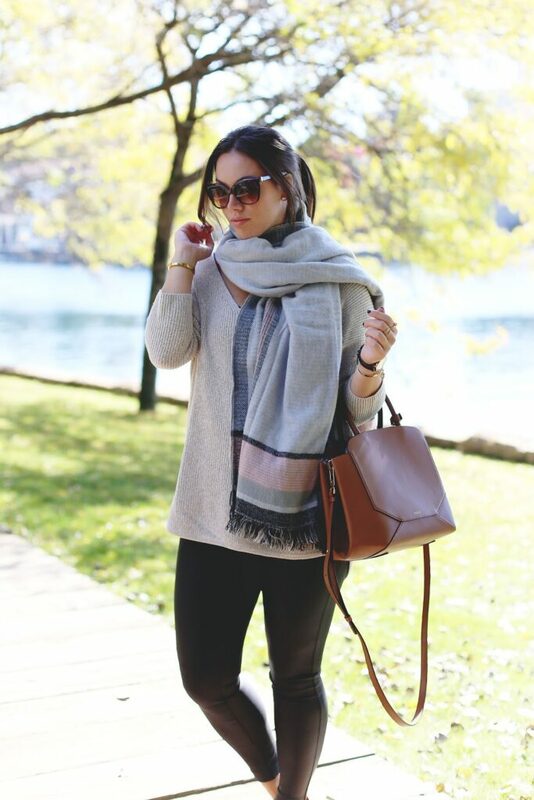 LOVE this outfit – so cozy & chic, but it looks comfortable too! Great pairing! This is such a cute and comfy outfit! Love your bag and sunnies!! 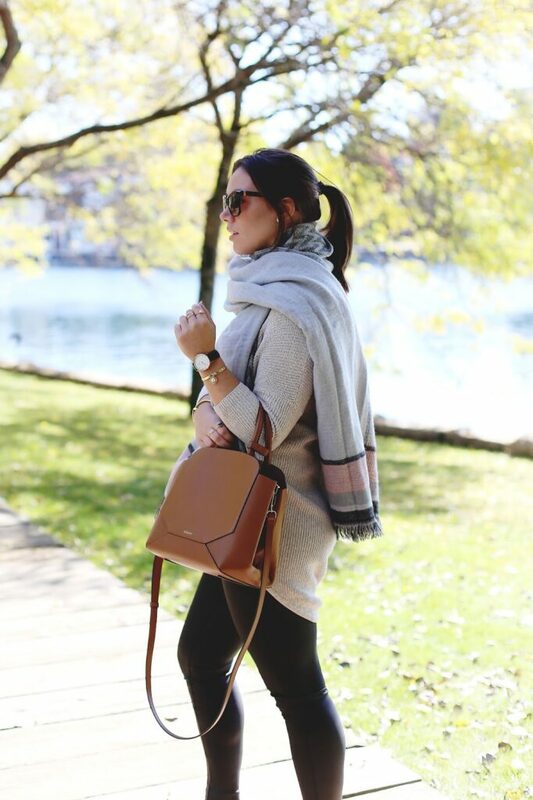 Loving the scarf and the bag! Love love love this look! So chic, but so comfortable; it's perfectly imperfect! 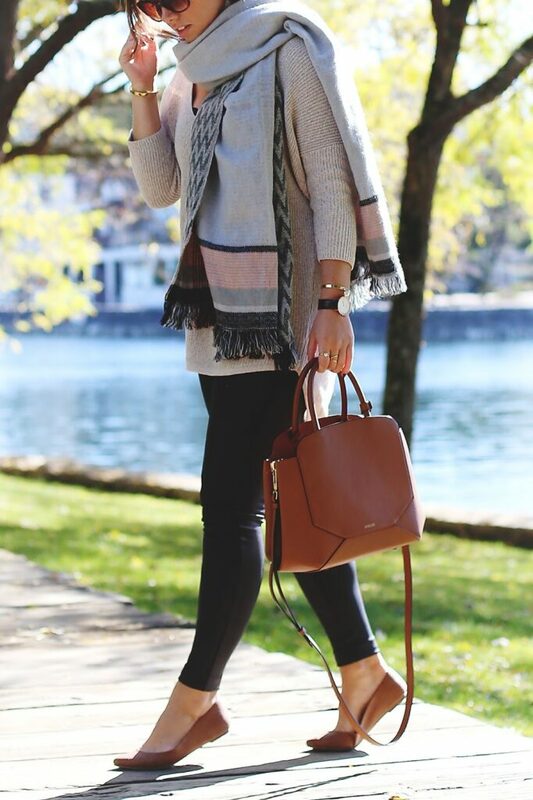 This outfit is the definition of Fall! Big scarves and brown flats. Love! Very cute outfit, looks very cosy, and I especially love the bag. Hope you're having fun in Greece! Love your scarf! You look great! What a beautiful look! Your scarf is so pretty. Okay you are accurate, actually Personal home page is a open source and its help we can obtain free from any community or web site since it happens at this place at this website.